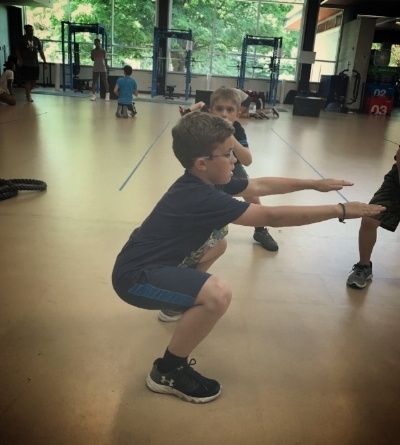 Learning and developing good fitness habits, performance abilities, and sound nutrition practices doesn't have to be just for adults. In fact, we highly encourage habitually engaging in a fitness related or a physical activity program as soon as the youth level. Carefully monitored fitness and physical activity programs promote positive mental health, builds strong bones and muscles, and reduces the likelihood of developing obesity and risk factors that can lead to chronic diseases. Fitness and physical activity programs can also positively affect a child’s academic achievement and decrease the rate of absenteeism in the classroom. Both have been show to improve concentration, memory, and classroom behavior as well. Interested in advancing your child's sports performance related skills OR teaching your child healthy nutrition practices? ASK ABOUT OUR YOUTH SPORTS PERFORMANCE or YOUTH NUTRITION Programs!